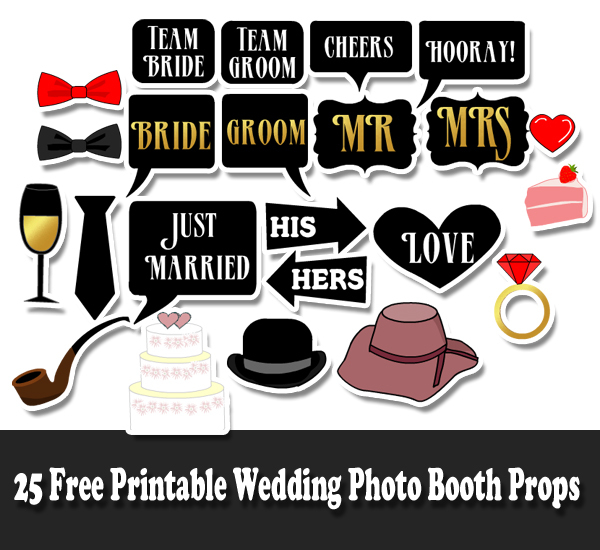 We have made Free Printable Wedding Photo Booth Props, so you can have some fun while taking your wedding pictures. 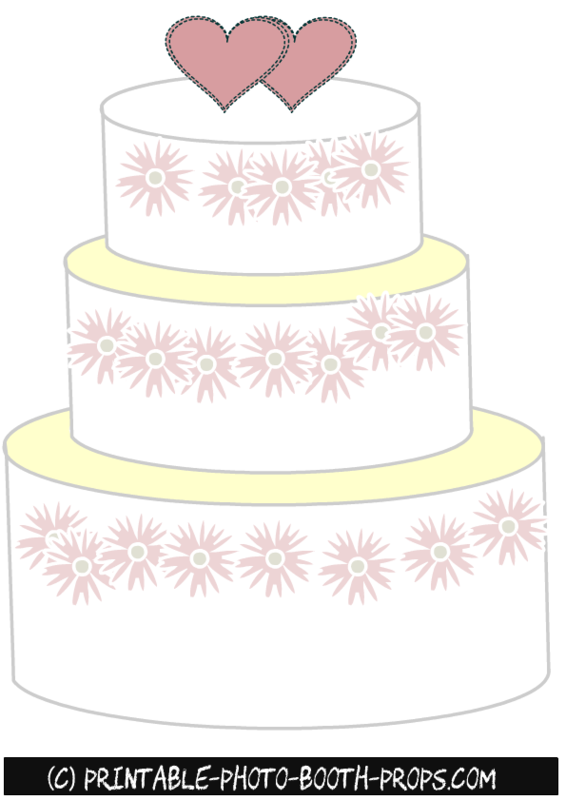 We have made props for wedding cake, team bride and team groom props and many more interesting ones for your wedding party. 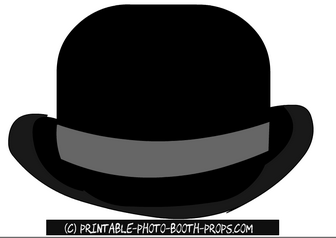 You can also download some glasses props, some lips props and moustaches props from our website. These are easy to assemble and easy to use props that you can print using your home printer. 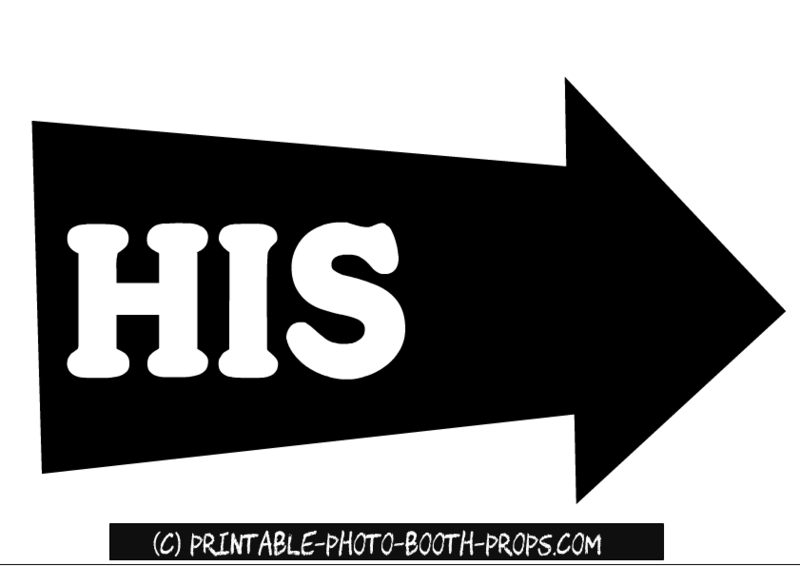 You can either print these props on a heavy card stock paper directly or you can print these on any printer paper or sticker paper and then paste on a card stock paper. You should cut these props around the edges and paste on wooden skewers. 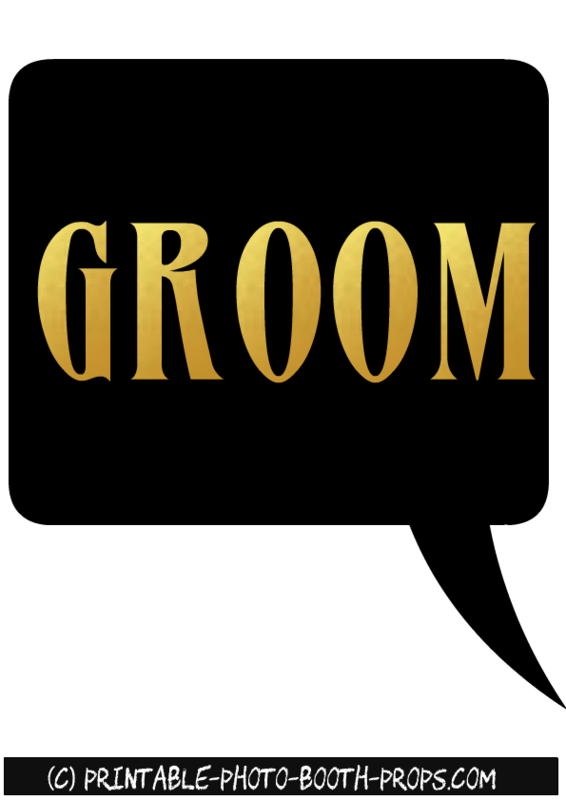 This is all that you will have to do and you and your guests will have a lot of fun on the wedding party. 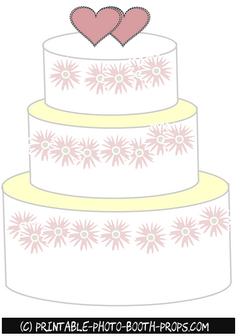 This is an adorable cake prop that you can print as big as you can, using your home printer. Both bride and groom should hold this cake together to have a fun filled photograph. 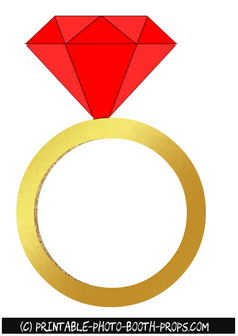 This is another very cute prop of a wedding ring. 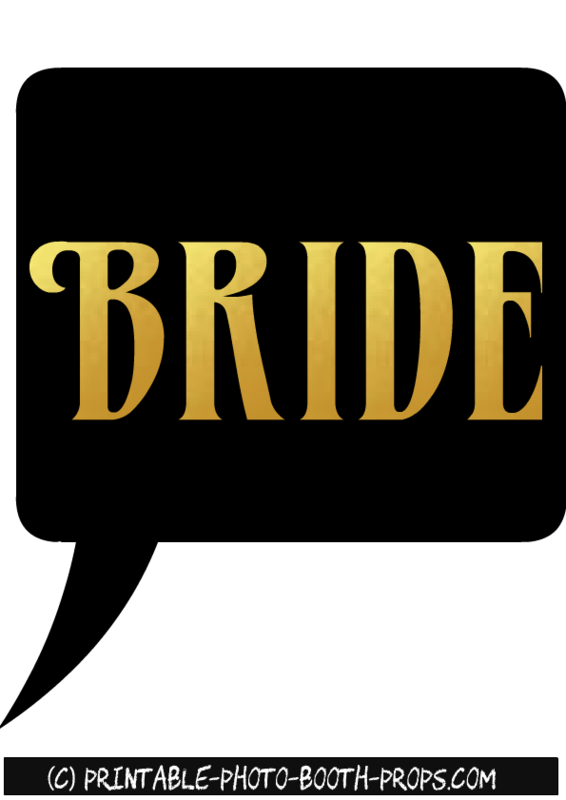 Bride can hold this prop or groom can present this prop to the bride. 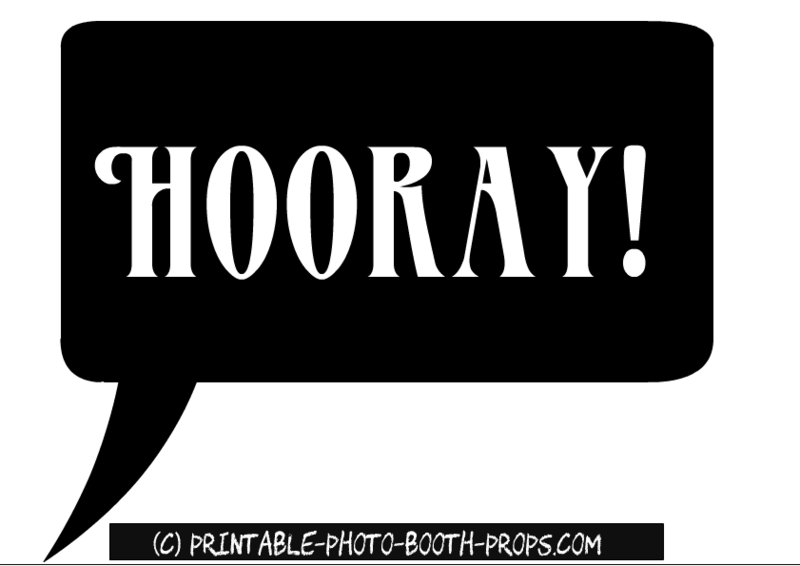 This will add more fun to the wedding photo shoot. Just click on the image of this ring and then right click and save the bigger image that will open up. Here are some classic photo booth props of different ties. 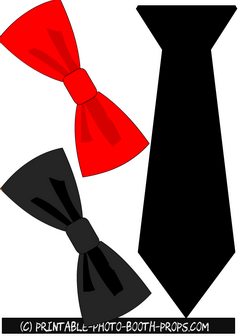 We have made a neck tie in black color and two bow ties in black and red colors. These will look really cute along with some moustaches. 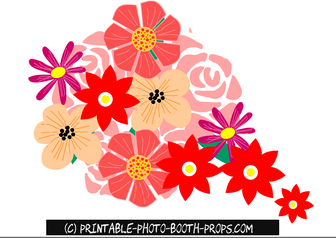 This is another adorable prop of a wedding bouquet with a lot of colorful flowers. Cutting this prop might get a bit tricky but this is surely worth a try. This is a very cute speech bubble prop with the word bride written it. 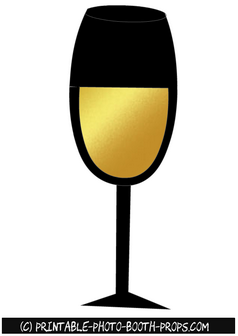 We have made this prop in classic black and gold color combination so everyone would just love it. 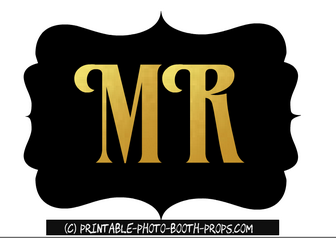 This is another prop in black and gold. The word Groom is written inside a speech bubble. 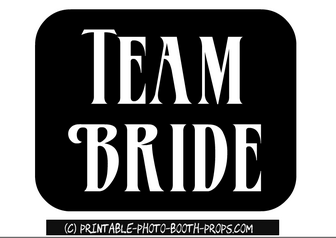 Groom and Bride both can hold these props while standing together. 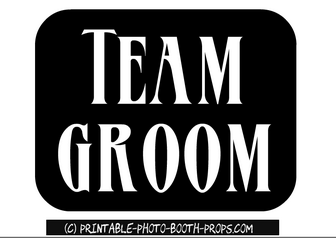 This is another Free printable photo booth prop with words team groom written on it. 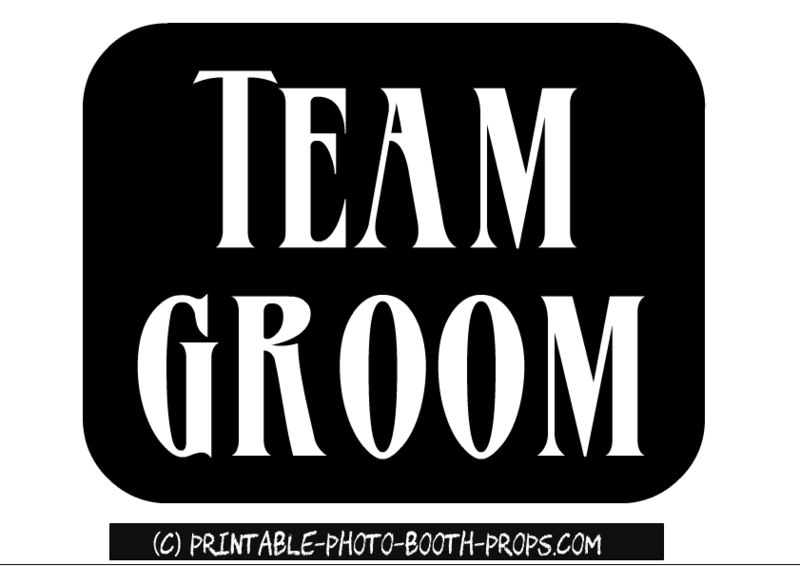 Team groom can hold it together during the photo session. Here is a Free Printable Photo Booth Prop for the Team Bride. 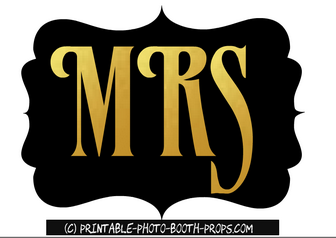 Another adorable photo booth prop for the bride and also for any married lady. Another Photo Booth Prop for the Groom or any married man. 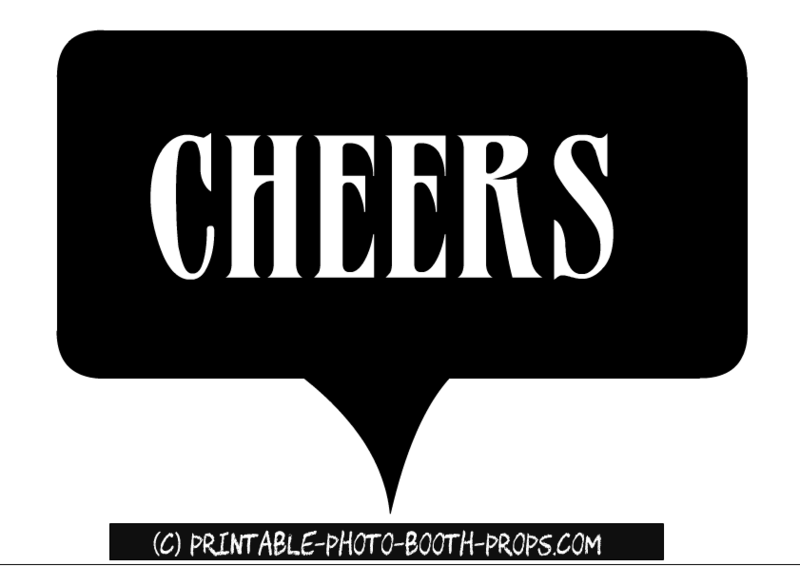 Some random fun printable props for the wedding party. 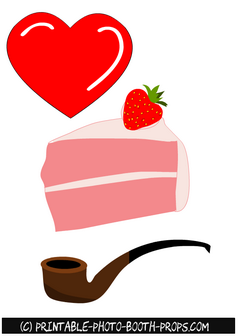 These are the props of heart, cake and pipe. 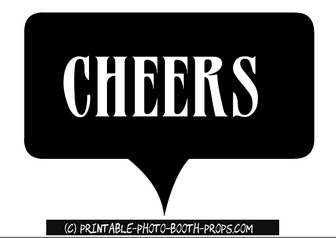 This is a Free Printable speech bubble prop of word 'cheers'. This is another free and fun printable photo booth prop. You can print as many glasses as you want, according to the number of your wedding party's guests. 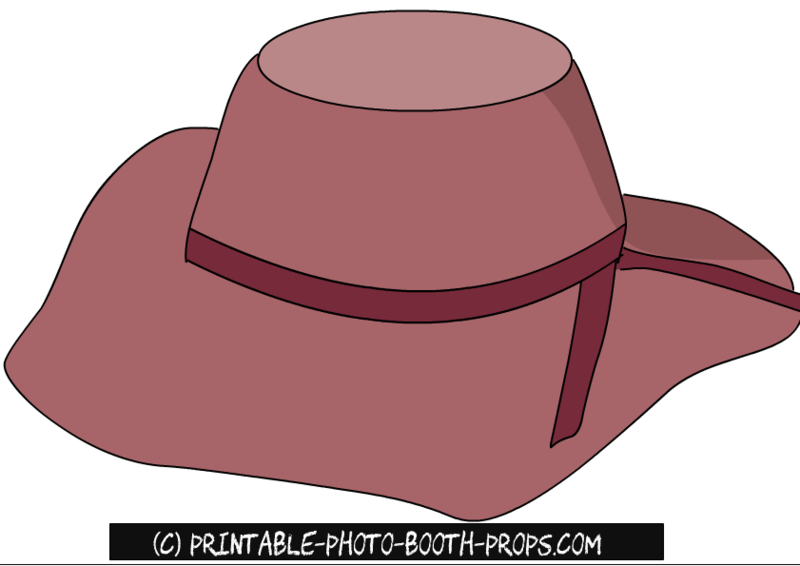 This is a very cute free printable hat prop but we have made many many more hat props that you can download from this page. 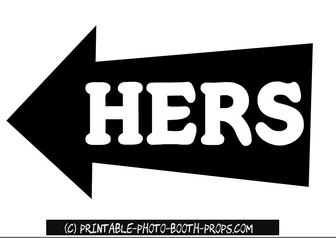 Free Printable Hers prop that he should hold during the photo shoot. Another free printable prop that she should hold. 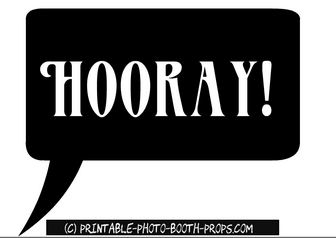 Another free printable, speech bubble prop with the word 'hooray'. 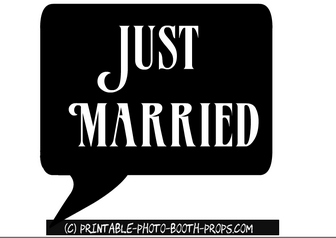 A free printable speech bubble prop with the words 'Just Married' written on it. 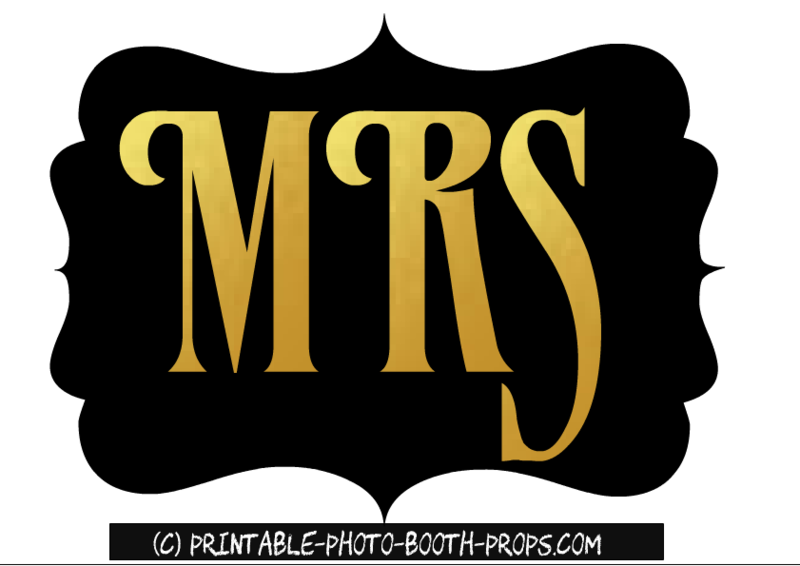 Here is another free printable prop that is perfect for a wedding photo shoot. Just click on the image of this hat and a bigger image will open up, you can right click and save that image. 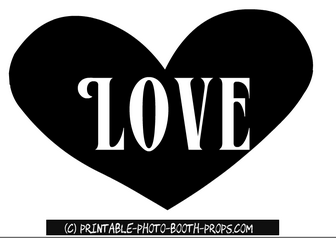 This is another adorable prop with the word love written inside a heart.